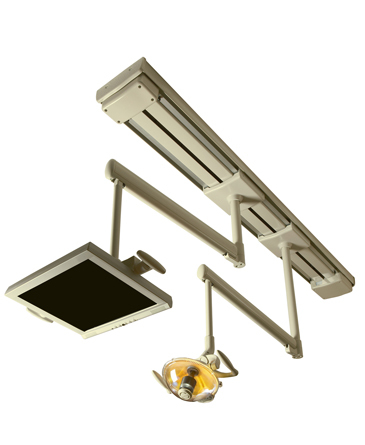 The advanced lighting design of Midmark Operating Lights deliver the true, reduced shadow white light you need to properly match shades, identify details and diagnose tissue. 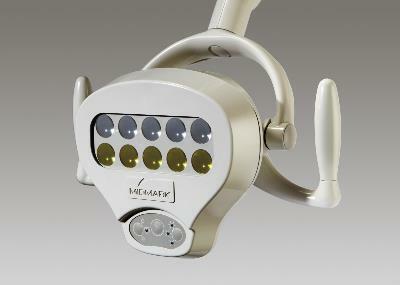 And, the automatic on/off function and upfront touchpad control system make the lights easy to use. 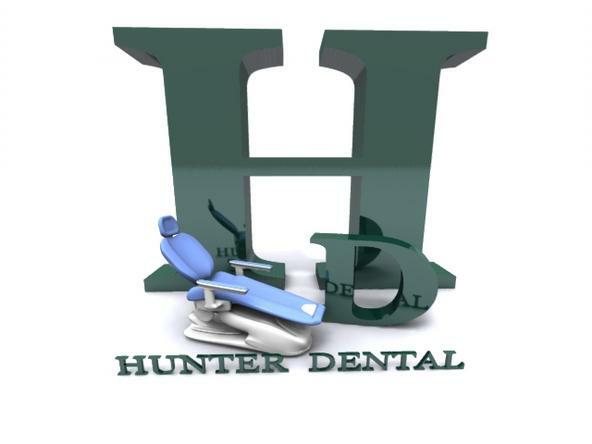 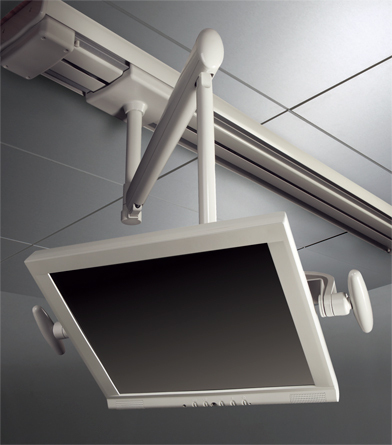 Available in various mounting configurations to meet your operatory design needs. 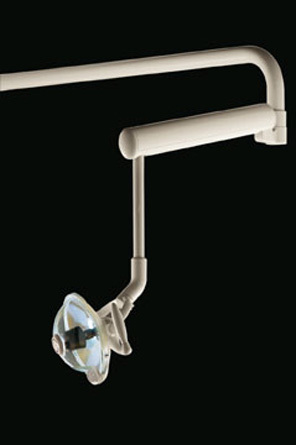 • The ergonomic design offers complete control, with pull, tilt and twist options, as well as easy access to the touchpad. 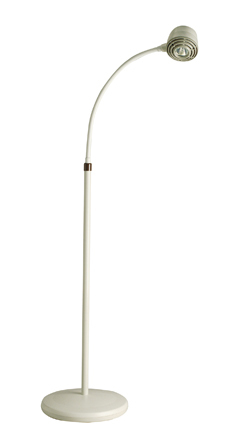 • Automatic motion controlled on/off function can be set on the touchpad with the simple touch of a button. 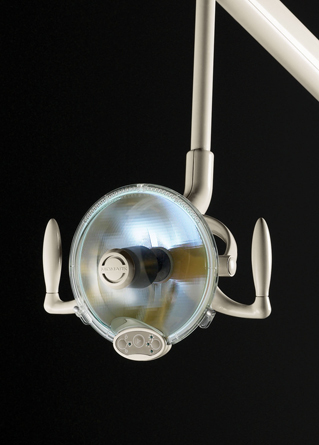 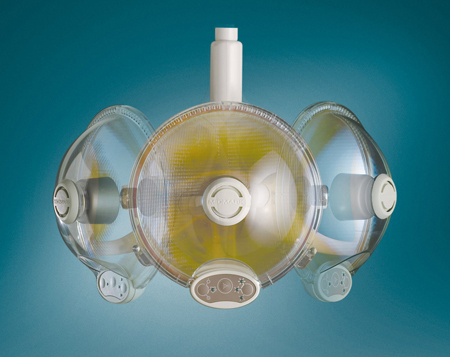 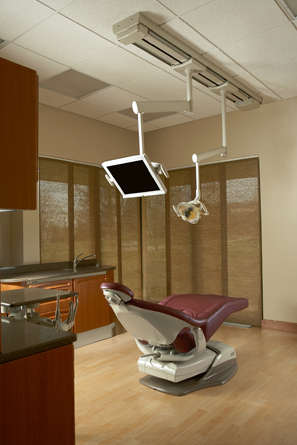 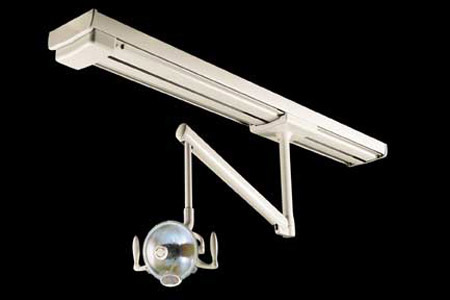 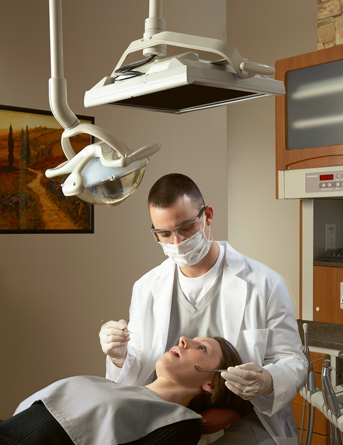 The Midmark Wall and Cabinet Mounted Lights feature a post bearing that maximizes head clearance in the operatory. 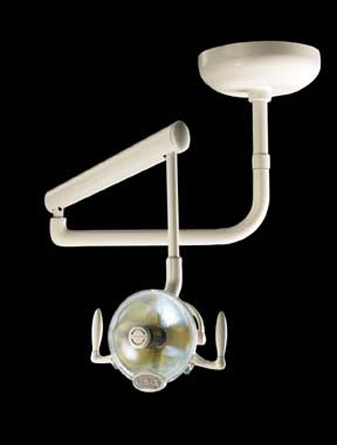 All pivots have been designed and tested to deliver smooth, easy positioning and long life. 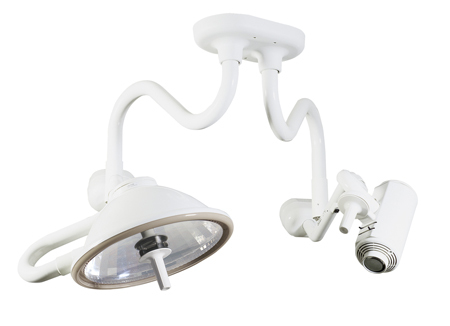 The Track Light Monitor from Midmark combines the best in dental lighting with unparalleled monitor positioning, allowing you to enhance the patient experience while improving efficiency and case acceptance.